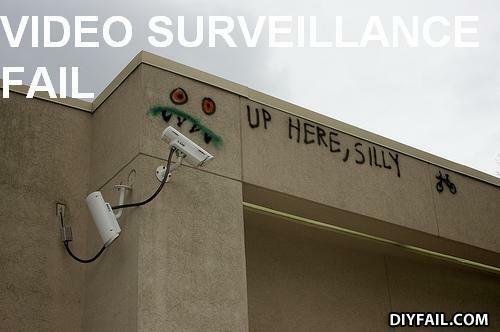 Well, maybe if one of the video cameras wasn't aimed directly at the ground, they wouldn't have used it to haul themselves up onto the roof. cookies monster strike again !! Not really a fail, just WIN for those taggers! shhhhh. be very, very quiet. i'm hunting monsters. "is it just me or is it getting really hot in here?" "the house is on fire and we are locked in"